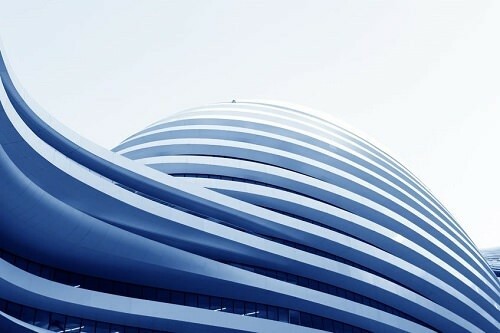 China has several amazingly futuristic buildings and the Galaxy Soho is one of the newest ones. Built in 2012, the multi-purpose building is made up of four domes connected by elegant curved bridges and suspended platforms. The materials used include aluminum, glass, stone and stainless steel, so it looks modern off an organic vibe.